Snap36 was established by my wife and I in 2008, and relaunched in 2012 when I started full-time as CEO. Fast forward to 2008: I was working for Adobe and in Germany presenting at a trade show, when I noticed a booth that was jam-packed with people. Intrigued, I worked my way in, and low and behold, there were these Darth Vader-looking robots that did exactly what my clients were asking for—automating the 360-degree photography process. I found the owner, asked him to dinner, and walked out with a handshake and exclusive North American distribution rights. After writing my business plan on the flight home, I presented it to my wife, who responded, “Don’t quit your day job just yet.” We agreed to start Snap36 in my wife’s name, and that she would run the business. For the first four years of existence, she and two other employees built the company to respectability in a challenging environment. In 2012, I decided to come over to Snap36 full-time. Our culture is the operating system that powers Snap36. It’s cultivated by the unique personalities and talents of our employees. When you are part of a community that is supportive and dedicated, it’s easy to care about work as much as you care about each other. ​Start-ups are exciting—the energy is high, the people are motivated, and we have a lot of fun. There isn’t much of a corporate stronghold that sometimes interferes with employees showing up, doing exceptional work, and bringing innovative ideas to the table. The biggest misnomer with 360-degree product photography is that it is expensive because we capture a lot of images per product (typically 24-72 images). I have to work closely with my sales and marketing teams to craft clear and consistent messaging that educates companies on the true cost of product photography. The true cost is not the number of images that are created, but rather the sum of resources used: pulling a product from inventory, shipping a product to a studio, prepping the product to be shot, shooting the product, approving the product images, sending the image files, repacking the product, and returning the product to inventory. Shooting the product is only one step of the process. To avoid future reshoots and wasted resources, companies should capture as many pictures, from as many product angles as possible—the first time. 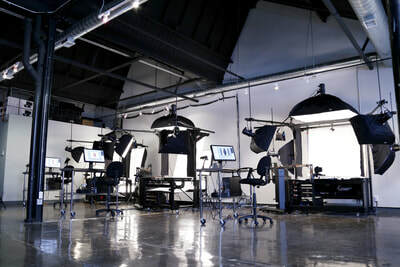 In addition, shooting products in 360-degree enables studio automation, as the equipment used to shoot the products is all robotic and software-controlled. More products can be shot, and more images can be created in a shorter period of time, when compared to traditional photography studios. This means that companies can now capture 360-degree product images for the same, or close to the same price that they had been paying for static photography. 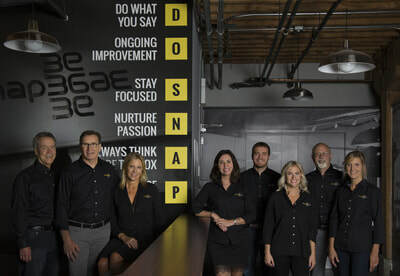 We recently announced that for the third consecutive year, Snap36 is ranked on the Inc. 500/5000 list of the fastest-growing private companies. These are exciting times for Snap36; we’ve been growing like crazy and evolving along the way. Our business model was built on shooting shoes, and while footwear will always remain a strategic focus for Snap36, we’re seeing our largest growth come from the industrial manufacturing and distribution sector. We have an excellent partnership with Grainger, in which they provide us direct access to their suppliers, and in turn, we plan and execute 360-degree photography projects for Grainger suppliers in our studio. The 360-degree product images are then added to the Grainger.com website and any other website the supplier chooses. We’ve also had some rather large projects this year. We shot more than 60,000 products for Heritage Parts, a distributor of commercial kitchen replacement parts, and shot 20,000 products for Regal Beloit, a manufacturer of electric motors. Other leading industrial brands that we’ve added to our client list include Emerson Brands, Schneider Electric, Johnstone Supply, and Hill-Rom. As our tagline says, we get around!